The Arara became infamous for their bellicosity and the trophies they used to capture from the bodies of enemies - heads for flutes, tooth necklaces and face scalps. But for a long time too the ease with which they have interacted with the outside world, and even their incorporations of strangers into the native world, have called attention to other aspects of their way of life. The virtual overlap between their passion for warfare and their continual disposition for establishing supportive and generous relations seems to have been a feature of an Arara world that today has given way to contacts and relations with the non-indigenous world. Thought to be extinct at the turn of the 1940s, when news of their movements through the region became scarce, the Indians known as 'Arara' in the valley of the middle Xingu returned to prominence with the construction of the Transamazonian highway at the start of the 1970s. The section which today links the towns of Altamira and Itaituba in ParáState passed within a few kilometres of one of the large villages where various Arara subgroups came together during the dry season. The road cut through swiddens, trails and hunt camps traditionally used by the Indians. What had already been a small population was separated by the "road for national integration:" its main carriageway, borders, crossings, access trails and clearings formed barriers impeding the passage of the Indians through the forest and imposing limits on the traditional interaction between their subgroups, which, living dispersed across the territory, used to be conjoined via a cohesive intercommunity network. The eventual success of the lengthy process of attraction, from February 1981 onwards, after more than a decade of frustrated attempts to make contact, found some of the Arara subgroups already disunited and scattered apart. At least four of these subgroups to the south of the new highway, close to the 120 km point, joined together in order to confront the non-indigenous penetration of the territory. Another subgroup to the north, isolated and in constant flight, was contacted in 1983 with the help of those contacted two years earlier. 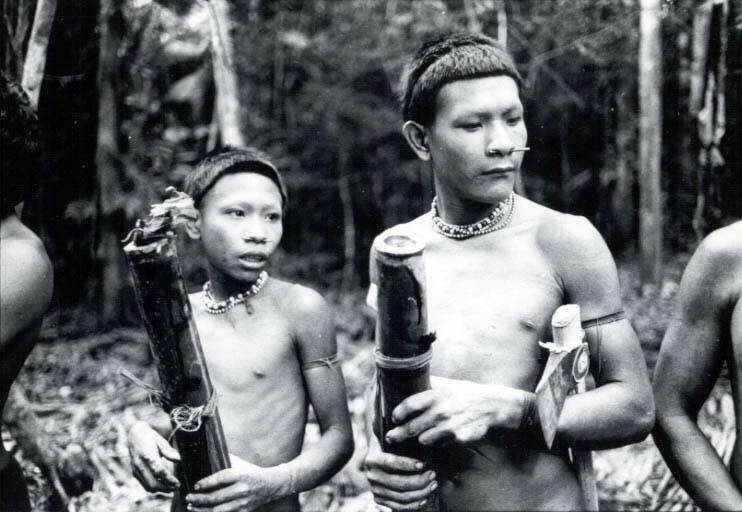 Yet another subgroup was contacted in 1987, already living far apart from the remainder, separated from the others for reasons internal to the Arara people, but increasingly more isolated and confined to the more deserted corners of the territory due to the avid occupation and economic exploration of the indigenous area. This last subgroup was perhaps the one submitted to the most dramatic post-contact situation, which still continues today due to the lack of official definition of the areas allocated to the Arara. A myth telling of the origin of the terrestrial world explains the pattern of territorial dispersion which the Arara historically maintained in the Tapajós-Tocantins interfluvial region. Originating in a celestial cataclysm caused by an enormous fight between kin, the terrestrial world was the setting for a political accord between those who, being those responsible for the inaugural tragedy, were condemned to live on the ground. The division into small subgroups - independent and autonomous, but integrated by a network of intercommunity exchanges, above all during the hunt and festival seasons - was established as a kind of pact to ensure that the conflicts that brought about terrestrial life were never repeated. The ethnonym used by the people also relates to the origin myth: Ukarãngmã - almost literally 'people of the red macaws' - is their name for themselves, in a reference to the participation of these parrots soon after the tragedy that gave rise to the terrestrial world. In the myth, it was the red macaws who tried to carry back many of those who had fallen from the skies. Speakers of a Carib language, the Arara belong to the same dialectical sub-family - also called Arara - that includes the Apiacá of the Tocantins (extinct), the Yaruma (extinct) and the Ikpeng, today living in the Xingu Indigenous Park, peoples who lived dispersed over a wide territory encompassing the entire upper and middle Xingu valley and the Iriri river. In geographical terms, the indigenous peoples of this Arara sub-family occupied an intermediary geographical position in relation to the larger demographic concentrations of Carib language speakers found in the massif of the Guyanas and the headwaters of the upper Xingu river. Nonetheless, the region of the Ronuro, Batovi, Culiseu and Culuene rivers (precisely the headwaters of the Xingu, today an area of the Indigenous Park of the same name) is the most probable place for the original dispersion of the peoples from this dialectical sub-family. Their relocation into the Xingu basin seems to have coincided with a migration of the Kayapó, who left the savannah areas close to the Araguaia river in the middle of the 19th century and reached the middle Xingu sometime at the start of the 20th century. The entire region between the Tapajós and the Tocantins (and particularly the Xingu valley) seems to have been a zone of continual movement of indigenous groups, until the start of the second quarter of the 20th century, when migrating populations coming from the Brazilian north-east began to alter the demographic dynamic of the region, affecting the indigenous populations already installed there. Arara mythic narratives indicate the right shores of the Xingu as the place where everything began: the formation of the current world, the generation of the Arara people, the dispersion of subgroups and the beginning of the conflicts with 'traditional enemies. Historical data confirm the Arara's movement between the two shores of the middle Xingu river as far as the fixation on its left shore, close to the Iriri river, after crossing the Xingu someway below the 'Big Bend,' around the middle of the 19th century. Both historical information - such as the references to conflicts with hunters and public works employees - and the memory of older Arara people indicate the region near to Altamira, someway below the mouth of the Iriri river, as the area with the highest concentration of Arara subgroup settlements in the past. Occupying the watershed region between west of the Xingu, east of the Tapajós and south of the lower Amazon since the middle of the 19th century, the Arara had access to the natural resources found both in the Xingu basin and the smaller affluents running into the Amazon. In his expedition to the Xingu in 1896, the voyager Henri Coudreau mentioned the existence of 'wild Arara' - subgroups then without any contact with Whites - to the left of the Xingu, in the region between the Curuá river (to the left of the upper Iriri river) "to within a close distance of the Amazon." A strategic site with a profusion of possibilities for ecological adaptation and optimization of the use of the numerous resources that typify the Xingu and Amazon river basins, the watershed allowed each local group, depending on its particular location, subtle differences in terms of its use pattern of raw materials unequally distributed across the territory (bamboo stems for arrows, straw for braids and baskets, and the higher or lower occurrence of inajá palms for extracting a typical drink, etc). At the same time, the watershed provided the Arara access to hunting territories of various kinds, a flexibility that allowed them to benefit more productively from the differences between the dry and rainy seasons during the year. 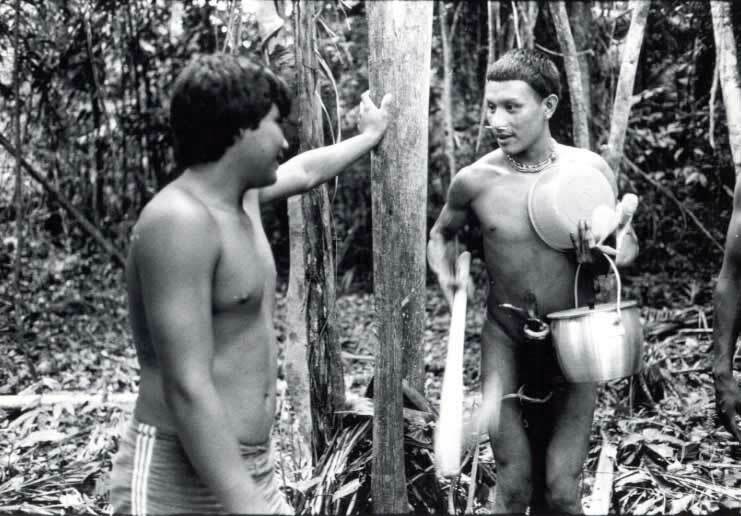 The history of contact between the Arara and Brazilian national society is relatively long. Reports as early as the 1850s mention peaceful contacts between the Arara Indians and settlers along the shores of the Xingu and Iriri rivers near to Altamira. In 1853 they figured for the first time in the official registers, detailed in the reports of the President of Pará Province, after appearing peacefully on the lower Xingu river. 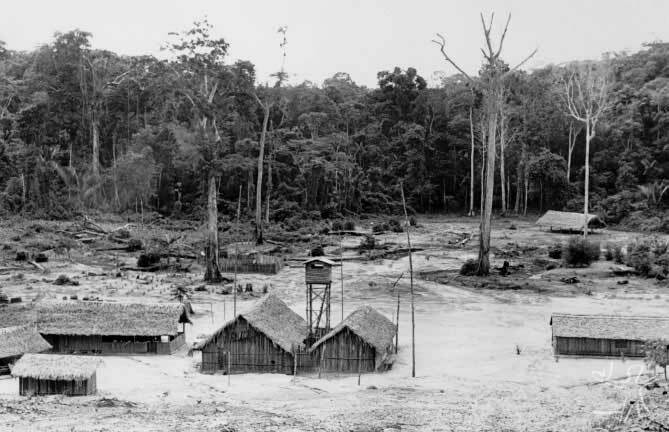 In 1861 an Arara group stayed for about ten days among rubber tappers below the Large Waterfall on the Iriri. In 1873, Bishop Dom Macedo Costa took some Arara to Belém. Between 1889 and 1894, they were persecuted by rubber tappers in the watershed region between the Amazon and Xingu/Iriri. During his 1896 expedition, Coudreau met only one Arara woman, but collected further information about them: their peaceful character and nomadic exploration of the entire Xingu and Iriri region, the famed beauty of their women, their miscegenation with other indigenous peoples and, above all, about the existence of 'wild Arara.' In the first decades of the 20th century, the Arara even visited the town of Altamira at different opportunities. At various moments of their history, many Arara subgroups were forced to undertake small migrations within the wide territory they occupied, whether in response to attacks by other indigenous groups (mainly Kayapó and Juruna), or due to persecutions by rubber tappers, hunters and settlers. From the beginning of the 1950s, big cat hunters and rubber tappers on the Iriri accidentally encountered the Arara, who until the end of the decade used to appear in former village sites by the shores of the river. 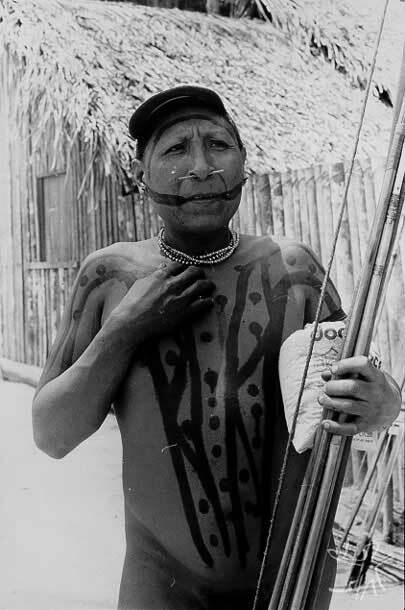 In 1961, the Arara were attacked by the Altamira Police, who harassed the Indians in revenge for the death of a pet animal belonging to a settler from the outskirts of the town. In 1963, turtle hunters travelling upriver on the Penetecaua were attacked by the Indians, who felled trees to block the channel and ambush the hunters. In 1964, the adventurer Afonos Alves da Cruza followed the trails left by the Penetecaua Indians: they were wide, long and clear of vegetation, giving the impression of a sizeable population in continual transit. The swiddens were also impressive. He estimated the group's number to be above 300 individuals. 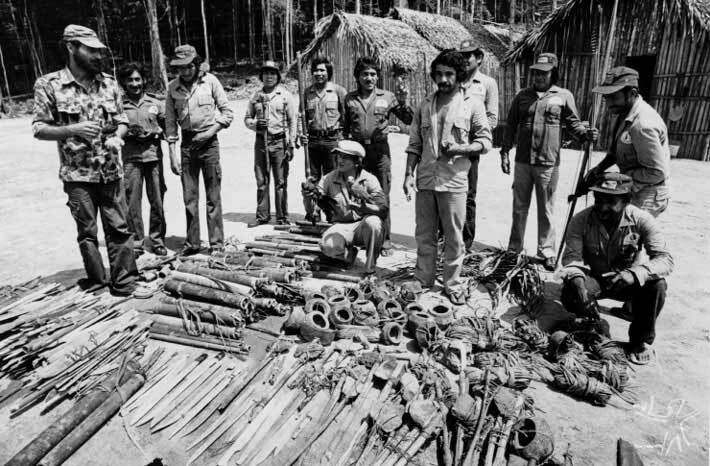 The years 1964 and 1965 saw an enormous movement by a large Kayapó group (Kubenkankren) within the same region, giving rise to their biggest conflicts with the Arara. 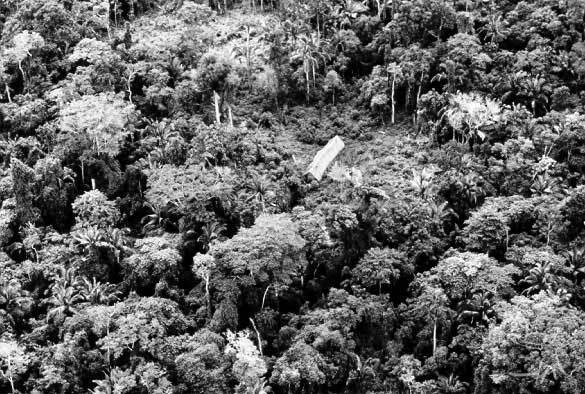 These conflicts with the Kayapó still persist in the Arara memory and imagination as the cause of the flight, separation and disappearance of several of the past local groups. The final years of the 1960s saw a profound change to the dynamic throughout the entire region close to the town of Altamira, due to the start of construction work on the Transamazonian highway and the radical transformation of the region's profile. Planned to pass exactly along the watershed of the Xingu/Iriri and Amazon rivers (given its better geo-morphological suitability for the construction of a road that was intended to endure) , the Transamazonian ended up imposing itself as a previously non-existent spatial 'barrier.' In bisecting the territory traditionally used and occupied by the Arara (the watershed region), the new highway became a visible limit to the possibility of interaction between various subgroups. The impact caused by the implementation of the new projects related to constructing the Transamazonian highway on the Arara's traditional way of life mainly affected the local groups' pattern of spatial dispersion and political articulation and the possibility of intensive exploration of the different ecotypes (micro-environments along the creeks belonging to the Amazon and Xingu/Iriri basins). The most evident outcomes of the projects that came in the wake of the new highway were: (a) the strategic clustering of various local groups in proximate villages as a means of confronting the pressures from non-indigenous penetration into the region; and (b) the limiting of usable territory to the Xingu/Iriri basin, with the restriction on access to the majority of the creeks of the Amazon basin (located to the north of the highway) and the consequent loss of flexibility in the utilization of the different ecotypes. Traditionally, an intercommunal network of multiple exchanges established the relations between the various subgroups and defined the basic principles of social life: political autonomy and economic independence were conjoined with collaboration for the ritual cycles; matrimonial alliances, on the other hand, given the residential principle followed by the Arara, scattered men and their ties throughout various of the subgroups belonging to the intercommunal network. The possibility for these traditional patterns of Arara social life (dispersion and independence, conjoining and alliance) to become effective in practice obviously depended on each subgroup's capacity to form relations with the others. Their recent history, marked by forced relocations and the search for new sites for villages and economic exploration, safe from the exogenic penetrations into their territory, modified the selection criteria for each local group's settlements - no longer the search for autonomy and independence as a condition for ritual collaboration and the matrimonial alliances: the simple possibility of physical survival became foremost. The choice of new settlements no longer obeyed the double condition of maintaining autonomy and independence and at the same time allowing the periodic conjoining with the other local groups. Against the traditional form of spatial dispersion, political autonomy and economic independence added to ritual collaboration and matrimonial alliances, recent Arara history has imposed limits on the possibility of actualizing the way in which the network of intercommunity exchanges formerly operated. The post-contact situation brought with it a reality of spatial reduction, with the consequent loss of the possibility of territorial exploration in the traditional way, and the demographic clustering and concentration of numerous of the former subgroups. There are two areas legally defined for the Arara, with different juridical and geographical situations: the Arara Indigenous Territory and the Cachoeira Seca do Iriri Indigenous Territory. The first is associated with the subgroups contacted between 1981 and 1983, while the second to the subgroup finally contacted in 1987. The area to the north of the Transamazonian highway was completely abandoned by the Indians, both as a settlement area and as a territory for economic exploration. All the Indians contacted between 1981 and 1983 ended up being settled in villages to the south of the highway, initially in two different villages and later in a single village. Nowadays, the majority of the Arara live in a village built by Funai after contact, within the Arara IT, located close to the Laranjal creek, whose population amounts to a little more than 100 individuals. A small portion of the population, about two dozen people who previously also lived in the Laranjal village, was relocated to a Funai surveillance post constructed next to the Transamazonian highway, thereby forming the nucleus of another 'residential group.' The Arara IT has a total of 139 indigenous inhabitants. The most distant subgroup - still relatively isolated from the rest - is the one contacted in 1987, living in a village near to the Cachoeira Seca creek, on the upper Iriri river, in the Cachoeira Seca IT. This group comprises 56 individuals, all descendants of a single woman (who was still alive in 1994). The total Arara population in 1998 was 195 individuals. Before contact, the local groups were integrated in a large network of multiple exchanges (economic, ceremonial, matrimonial, etc.). The large reunions taking place during the dry season also served the purpose of reuniting these various spatially dispersed groups. Today, despite the reduction of various local groups to a single village, effectively transformed into residential groups, they still basically function as if they were in the traditional situation, with a large degree of independence and autonomy. The impact of contact was mainly felt in terms of residential patterns: the death of some older leaders and fathers-in-law during and soon after the attraction process broke bonds between people who reorganized their relations in other residential groups. Though the probable effects of the long process of attraction cannot be underestimated, since the end of attraction the Arara population has experienced a fairly impressive demographic growth. Somewhere around 30% of the population was born after the onset of permanent contact with Brazilian national society. Clearly such changes have brought some consequences, but they do not yet appear to have altered the principal traces of Arara social life, nor the fundamental status of the subgroups. In the Laranjal village, every one of the former local groups ended up grouping together, in general, in the same residential group, as an expression of their collective nature. Such residential units are typically large collective houses, centred around the figure of an elder man, father to most of the women and father-in-law to the adult men living there. Despite being named only by the name of their old leader and lacking any particularly clear juridical status, the social character of these residential groups is evidently publicly recognized: every individual is said and taken to belong to a specific residential group, and the collective houses in fact function as independent social units, operating in various aspects of social life as a kind of collective subject. In contrast to the Laranjal village, the village built by the Indians next to the Funai Post on the Cachoeira Seca creek simply appears as a small disordered agglomeration of houses occupied by different conjugal units. This is doubtless due to the fact that as a single local group whose isolation from the others is a product of its peculiar history, the residential configuration there became more indeterminable. The residential groups are formed by a set of distinct logical criteria. Marriages are defined on the minimum basis of birth group exogamy. Uxorilocal residence, almost compulsory for a man's first marriage (the Arara are generally polygynous) is an important principle of recruitment, but one which competes with individual options for choosing which are always subject to variations (prestige and personal affinities, pacts of solidarity and cooperation between people, etc). While affinal relations form an important element in the composition of residential groups, another condition is the necessity for the residential groups to behave as efficient units of co-operation: a reasonable number of adult men, working together in the collective tasks that the groups aim to fulfil (hunting during the dry season, the clearing of a collective swidden, etc.). Affinity and the necessity for co-operation are principles organizing the residential groups: affinity implies a form of compulsory co-operation (a concrete mode of bride-service to be rendered to in-laws), which the Arara try to avoid, while the relations of consanguinity and 'formal friendship' which the Arara recognize (hunt partnerships and war partnerships) imply another form of co-operation, less tense and more amicable (but which, virtually speaking, are just as compulsory as the former). There is a large margin of imponderability in the reasons which determine the personal choices that influence the mode of distribution of the population between the various houses. In the Laranjal village, for example, there are three recognized residential groups, but five different houses: two of these are inhabited by conjugal units who, for particular reasons, have autonomous dwellings but are socially integrated into wider residential groups. The Arara have no specific term for 'village,' the assembly of houses within a common space. The lack of distinction between house and village also highlights the fact that, as in the fairly recent past, a single house may comprise the entire settlement of a local group; without the recognition of a 'village' properly speaking, a space where different dwellings are conjoined, the Arara see house and village as co-extensive. Currently, the Laranjal village is the principal setting for Arara social life. The Cachoeira Seca surveillance post and village, as the sites for only a single residential group, lack more elaborate forms of collective interaction. Instead, these take place on the main village's plaza primarily during the dry season, the period of large hunting trips and their accompanying festivals. The ritual and economic cycles converge on the dry season. Agriculture as a whole, cultivated during the rainy season of the year, not only serves the purposes of daily alimentation when there is no large-scale hunting. Although the explicit preference is for manioc, almost everything the Arara additionally plant - potato, yam, maize and fruits such as pineapple, banana, etc. - serves towards fabrication of a fermented drink, taken to be the necessary counter-gift for the game from hunts taking place as soon as the rains cease and the forest is once again sufficiently dry for the hunters to follow the animal trails and prints. The exchange of game meat for fermented drinks always demands elaborate ritual preparation, in which the residential groups express their collective character: one group hunts, the other fabricates drink as a return for the meat it will receive. This pattern is observable throughout the entire dry season in the Laranjal village: one group leaving on a long hunting trip, another busy harvesting its swiddens for everything that can be transformed into drink. From the point of view of the symbolism associated with the economic rhythms, meat and drink make up an integral part of a system whose main axis is the native doctrine concerning the circulation of a vital substance called ekuru. Passing from the blood of killed animals to the earth, and from here to the liquids that nourish and stimulate the growth of plants, this vital substance is the main object of desire - not only of human beings, but also all the beings who inhabit the world: in effect, the object of a generalized predation in the world. Humans seek to acquire the vital substance ekuru through the death of animals during the hunt and the transformation of plants into a fermented drink called piktu - a primordial source for acquiring these vital substances for humans. The capacity of the earth to reprocess vital substances, transforming them into plant nutrients with which humans make drinks, also informs Arara funeral practices. In general, the Arara do not bury their dead, but reserve a platform in the forest for them, inside a small funeral house built especially for each occasion. Raised above the earth, the deceased must gradually dry out, losing whatever remained of the body's vital substances to the set of metaphysical beings which lurk around corpses, feeding themselves on the elements which previously gave life to the deceased. The Arara funeral is thus a kind of devolution of the vital substances that the humans extracted from the world; an eschatological exchange or reciprocity with the world's other beings. On the other hand, the circulation of ekuru takes place among the living through the exchange of meat for drink; this primarily takes place during the rites that follow the return of the hunters. As a result, the rites are the mode through which the native doctrine of a circulation of vital substance transforms into a principle conjoining the various subgroups in a schema of reciprocity and mutual dependence. Economic activities (hunting and agriculture), principles of social structuration (the division of subgroups) and native perceptions concerning the functioning of the world acquire consistency in the ritual practices associated with exchanges of meat and drink. Closely associated with these native conceptions, shamanism also has its place here. As an institution, Arara shamanism is dispersed, diffused and generalized among the men. Acting as healers and agents for mediating with powerful metaphysical beings, all the men are initiated and practice at least some part of the shamanic techniques and arts. They are also responsible - or at least those who enjoy a slightly greater prestige - for ensuring, in liaison with metaphysical beings, the conditions for the hunts and rites that in turn ensure the circulation of game meat and drinks among the various subgroups. Among the symbolic conditions of the hunt, there is a rite reserved for the shamans who, deep in the forest, direct magic formulas at the metaphysical entities that control the animal species (the oto) in order to request offspring to be raised by humans. The capture of animals to be raised is thus thought to be a product of a shaman's intercession with the oto who control that particular species. On the other hand, the request for offspring to raise as pets prohibits the hunting of animals of that species for the man involved in the magical rite. However, the prohibition assumed by one shaman is not extended to any other man: as they travel through the forest, others may kill the animals without qualms. On the other hand, the music played by the Arara during the dry season's long festival cycles are also intimately related to native representations of hunt conditions and practices. The long trumpets perform melodic pieces renowned for their relationship with the main hunted animal species. Played in groups or formal partnerships, the trumpets announce the death of the animals to their spiritual protectors while at the same time they serve as a pretext for the hunters' return to the village, after their almost invariably lengthy sojourn in the forest. It is through the sequence of music played in the village that the hunters accompany the progress of the ritual stages preparing their arrival, where they almost always simulate an aggressive invasion of the village, dissolved by the offer of piktu to the hunters who entered in a wild raid. The ritual series of music then continues, no longer with the musical instruments associated with the relations with animals and their guardians, but with sets of vocal music, which are true ceremonial dialogues sung to establish relations between human beings, between those who hunted and those responsible for offering drink to those bringing game. Through their overall symbolism, the prominent rites associated with the collective hunting trips are also an efficient mechanism through which ethical and moral values become manifest, concretized and serve toward constituting a native idea of their collectivity. An intricate network of values and principles of interaction related to good conduct, kindness, solidarity and generosity finds its primary medium of expression in the rites. Ethnographic records on the Arara appear for the first time in articles by Curt Nimuendajú. Before these, only sparse historical information appeared in the administrative reports of the former Pará Province. Considered extinct from the 1940s onwards, no new information on the Arara was registered until the recent success of contact. Short linguistic reports were initially produced, simply to help communication, requested by Funai itself from missionary-linguists. From the second half of the 1980s new studies began to be undertaken. The Arara language was the object of both a phonetic description in a dissertation produced at Unicamp by the missionary Isaac Souza, and a report deposited at the Sector of Linguistics of the National Museum, produced by Márnio Teixeira-Pinto on the basis of the Standard Form for the Study of Brazilian Indigenous Languages. The first more systematic ethnographic description, centred on native conceptions of vital substances (ekuru) was presented in a master's dissertation by Márnio Teixeira-Pinto, who has also published various thematic articles, on body painting and representations, kinship, contact history, and recently published his doctoral thesis as a book, which provides a more dense description of various aspects of Arara social life related to the past rites of enemy sacrifice, forms of hunting, production and distribution of drinks, music performed in the rites, etc. Jean-Pierre Estival has also produced articles on Arara music. Recently, a commercial video on the Arara, made between 1992 and 1994 as an independent production by the British Equilibrium Films and Nova Films, where Márnio Teixeira-Pinto acted as consultant, was bought by the National Geographic Society, which is currently preparing to launch a new version, also revised by Márnio Teixeira-Pinto. BASSO, Ellen B. (Ed.). Carib speaking indians. Tucson : Univ. of Texas Press, 1977. COUDREAU, Henri. Viagem ao Xingu. Belo Horizonte : Itatiaia ; São Paulo : Edusp, 1977. 165 p.
ESTIVAL, Jean-Pierre. La musique instrumentale dans un rituel arara dans la saison séche, Pará, Brésil. Journal de la Société des Américanistes, Paris : Société des Américanistes, v. 77, p. 125-56, 1991. HAMELIN, Paul. O fracasso anunciado. In: LÉNA, Philippe; OLIVEIRA, Adélia Engrácia de (Orgs.). Amazônia : a fronteira agrícola 20 anos depois. Belém : MPEG, 1991. p. 161-76. NIMUENDAJÚ, Curt. Idiomais Indígenas del Brasil. Rev. del Instituto Histórico e Geográfico de Tucumán, s.l. : Univ. Nacional de Tucumán, s.n., 1932. --------. Tribes of the Lower and Middle Xingu River. In: STEWARD, J. (Ed.). Handbook of South American indian. Washington : Smithsonian Institut, 1948. p. 213-43. --------. Corpo, morte e sociedade : um ensaio a partir da forma e da razão de se esquartejar um inimigo. Rev. Brasil. de Ci. Soc., São Paulo : Anpocs, v. 8, n. 21, p. 52-67, fev. 1993. --------. História e cosmologia de um contato : a atração dos Arara. In: ALBERT, Bruce; RAMOS, Alcida Rita (Orgs.). Pacificando o branco : cosmologias do contato no Norte-Amazônico. São Paulo : Unesp, 2002. p. 405-30. --------. Ieipari : ensaio sobre um tema ritual Arara. Rio de Janeiro : UFRJ-Museu Nacional, 1995. (Tese de Doutorado)Publicada em 1997 pela Anpocs/Hucitec/UFPR com o título: Ieipari : sacrifício e vida social entre os índios Arara. --------. Relações de substância e classificação social : alguns aspectos da organização social Arara. Anuário Antropológico, Rio de Janeiro : Tempo Brasileiro, n. 90, p. 169-204, 1993. SANTOS, Roberto. História econômica da Amazônia. São Paulo : TAQ, 1980. TOCANTINS, Antônio Manoel Gonçalves. Estudos sobre a tribu Mundurucu. Rev. do Instituto Histórico e Geográfico, Rio de Janeiro : IHG, n. 40, 1877. This page was last edited on 26 March 2018, at 16:49.